I was telling some people over the weekend about my new hobby of collecting Cacti & Succulent plants. Of course no one understood why or was really interested so I didn't talk to much about it. But I got an e-mail from one of the persons that was there asking if I had something like the pic attached to this post. She wanted to give a Cacti just like this as a gag gift to a friend. Unfortunately (or is that fortunately?) 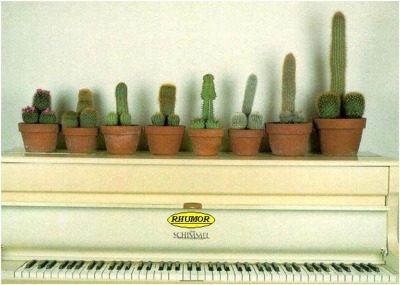 I don't own any Cacti shaped like these but I found the pic to be pretty funny.